PBS Kids Go! Adds Two New Webseries - Are You Screening? PBS Kids Go!, the online destination for all your child’s favorite PBS shows, has added two new web series to its growing list of great content. One showcases music, while the other teaches Spanish through fun exploration, and both of them offer up some great entertainment through games, videos, and interactive experiences. With these new shows, you’ll meet Chuck Vanderchuck, which kicks off with an introduction to Salsa music. You get impressive information, and a lot of fun. You’ll also meet Noah, a 9-year-old boy trying to learn Spanish, who kicks off some cool adventures. Check out more info below, and be sure to give these a look. Chuck Vanderchuck’s “Something Something” Explosion, produced by Scholastic Media and Soup2Nuts, is an interactive online web series aimed at helping kids understand music and music composition through online episodes and integrated games and activities on the web. 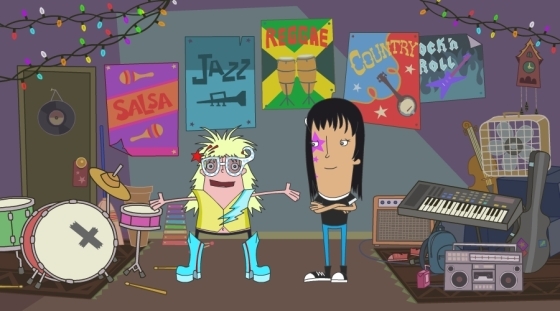 In each webisode, kids get to be a member of the band, interacting with Chuck, the lead singer and main creative force behind the band who dreams BIG, and Ramona, Chuck’s band mate who helps make his big ideas into reality. Chuck and Ramona present five different musical genres: Salsa, Jazz, Rock, Country, and Reggae. Children will learn about different instruments used for each musical style, and play games through which they will have the chance to identify instruments, write lyrics, compose melodies, create costumes, and play in a virtual concert with Chuck and Ramona. The site contains additional content such as videos, printable posters, MP3’s, maps and facts that allow children to further explore each genre. Specific areas explored include basic rhythmic and melodic patterns, as well as geography and cultural lessons related to music genres. NOAH COMPRENDE, a production of THIRTEEN for WNET, is a web-original series about a 9-year-old boy visiting his grandmother in a community where no one speaks English. Noah is trying to learn Spanish, but sometimes gets it wrong. In each animated video, a misunderstanding launches a comic adventure for Noah and his pet mouse Pequeño. With Pequeño’s help, Noah always manages to solve the problems he’s created, learning Spanish in the process. Although kids – like Noah –may not understand the Spanish dialogue, they can comprehend the story told through rich visual storytelling. 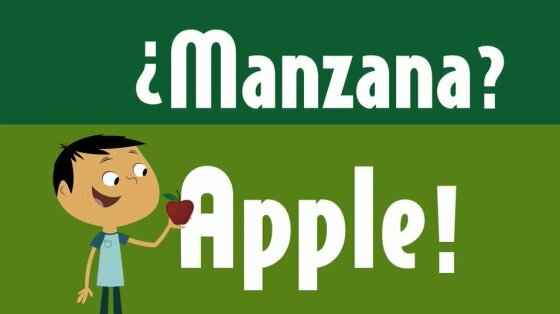 Each video features opportunities for kids to roll their cursor over objects on the screen to hear the Spanish translation. Three different vocabulary-driven, arcade-style games also reinforce learning, as leveling and racing against the clock encourage multiple plays and repeated exposure to vocabulary. Another game, “How Do You Say…?,” helps kids learn common expressions in Spanish, such as greetings and phrases to say in a restaurant. Focused on Spanish language acquisition, Noah Comprende is based on the educational concept that kids learn language most effectively when they can put it into meaningful context.